On Sunday, January 31, 2016, The Pasadena Playhouse proudly opened the play Fly, by Trey Ellis and Ricardo Khan. 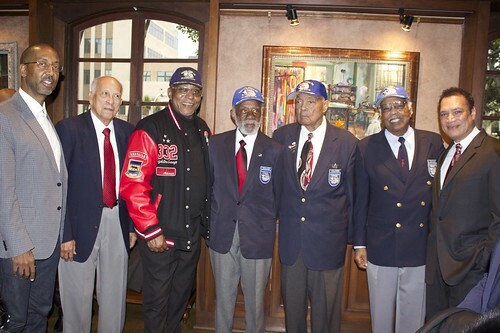 For the opening night, seven original Tuskegee Airmen were present, which made the night a special moment for the celebration of African American history. 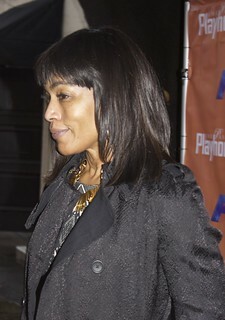 Several celebrities were present at the event, including actress Angela Basset, featured below. 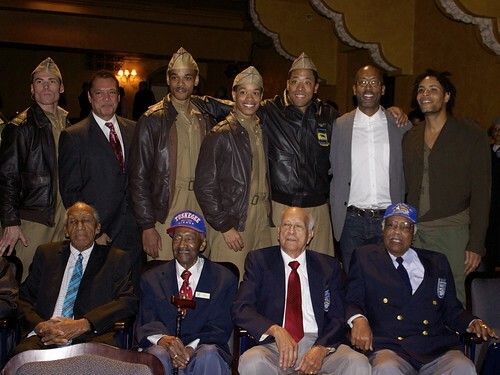 After the show successfully opened, the cast proudly took some time to join the visiting Tuskegee Airmen and women and their family and friends for some celebratory pictures inside the theater. With a focus on hope, endurance, and accomplishment, Fly tells the story of the first African-American Army Air Corp fighters known as the Tuskegee Airmen who flew over the skies of Europe and North Africa during WWII. Featuring a cast of eight men, including "Tap Griot," a dance who uses tap dance steps to set a mood that is part sublimated anger, part empowerment, Fly was hailed by The New York Times as "a superior piece of theatrical synergy." 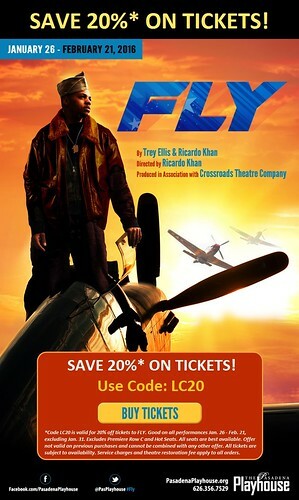 In honor of Black History month, The Pasadena Playhouse and Crossroads Theatre Company's production of Fly dramatizes the historic contributions made by the Tuskegee Airmen to the desegregation of the American military and the furthering of civil rights. Production runs until February 21, 2016.